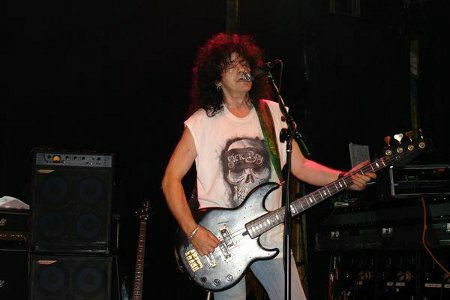 Former Dio and Rainbow bass player Jimmy Bain very sadly passed away almost exactly a year ago now, 24th January 2016, aged 68. Jimmy was Dio's bass player between 1982 and 1989 and then again from 1999 to 2004 and was also a member of Rainbow with Ronnie James Dio for a short time, appearing on the 'Rising' album. The list of bands and musicians he worked with is long and exemplary, including Phil Lynott, John Cale, Scorpions and Kate Bush. Jimmy was born in Scotland in 1947 and after turning professional in the early 70s was asked to join Rainbow by Ritchie Blackmore who saw him play at The Marquee Club in London. He stayed with Rainbow for one album and tour, but was a major part of Dio, co-writing many songs. He also founded Hear N' Aid, the charity foundation to help alleviate poverty, co-writing 'Stars' with Ronnie James Dio and Vivian Campbell. Jimmy was active musically all his life, working on mnay bands and projects - most recently in the band Last In Line, originally formed as a project to keep the Dio songs alive, however Jimmy, Vivian Campbell (guitar), Vinny Appice (drums) and Andrew Freeman (vocals) entered the studio and wrote a new album of original, 'Heavy Crown'. 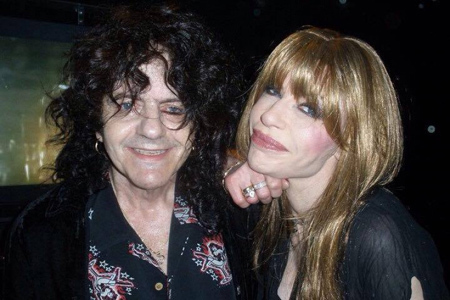 Jimmy Bain left a huge and important musical legacy, however it appears that he did not leave a will and now his widow, Julie Wilson, is struggling and needs our help. A GoFundMe page has been set up and the statement that appears on there is self-explanatory. "Julie Wilson is the widow of Jimmy Bain, bass player extroardinaire for the band Dio, Rainbow and many others. A true rock'n'roll legend, Jimmy recently passed away without a proper will in place and now his better half is in trouble. "She is sober and residing with her trusty little pooch, Baxter, in temporary safe residence in North Hollywood, CA. Due to some extreme health issues (COPD/lung nodules and Alpha 1 lung/liver disease), she has reluctantly reached out the community for a helping hand. "Please rally in the spirit of true Metal. All donations will be monitored and placed towards housing and medical insurance strategy. The need is immediate. Julie, doggie Baxter, and the entire music community thank you very much for your compassionate generousity. Help spread the word." Ginger Wildheart and Saxon, Europe and Thin Lizzy manager Adam Parsons were among the first to donate and you can follow their lead right here.